Save $100's on our services with these Great Limited Time Promotions! You heard right. It's super easy to save 15% today. Save a whopping 15%. Hey, nowadays, every 15% helps. Right? This does not apply to previous jobs. Cannot be combined with any other offers. Call today and mention Promo Code "SPRING15" to get this limited time discount. * Does not include regrouting of the tile surround if needed. We use this promotion called "BLANK47" to fill empty spots in our normally, crazy busy schedule. Our downtime is your savings. 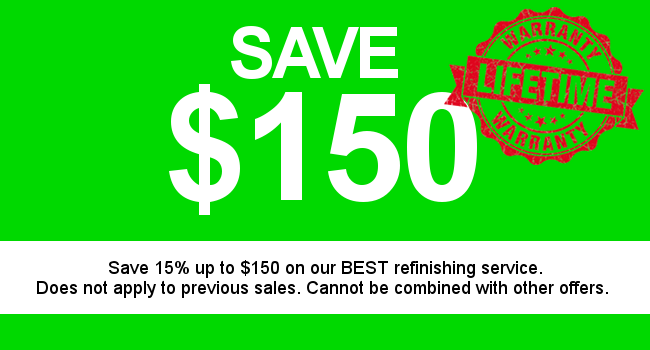 This discount is for 15% up to $150 our Best refinishing service. You could refinish your bathtub, tile and grout, countertop or cabinets. This does not apply to previous jobs. Cannot be combined with any other offers. Call today and mention "BLANK47" to get this discount. We use this promotion called "BLANK47" to fill empty spots in our normally, crazy busy schedule. Our downtime is your savings. 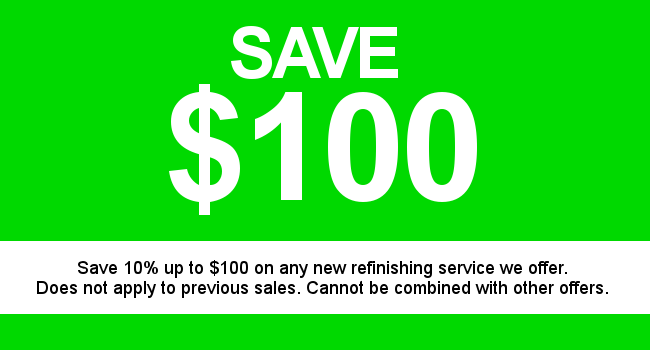 This discount is for 10% up to $100 on any new refinishing service. You could refinish your bathtub, tile and grout, countertop or cabinets. This does not apply to previous jobs. Cannot be combined with any other offers. Call today and mention "BLANK47" to get this discount. 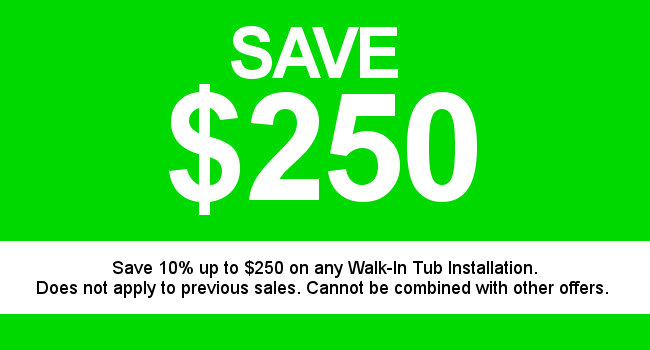 Use this coupon to save 10% up to $250 on our any Walk-In Tub installation. This does not apply to previous jobs. Cannot be combined with any other offers. Call today and mention "WALKIN47" to get this discount.